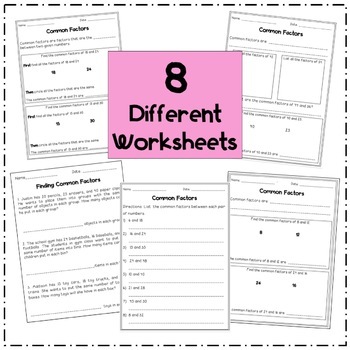 This product includes eight different Find Common Factor worksheets with corresponding answer keys. 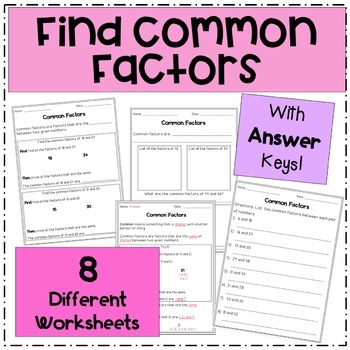 Includes 7 different opportunities for listing common factors between numbers, as well as an opportunity to identify common factors in three sample word problems. Access the FREE Common Factor Presentation!